Photoshop offers four type tools — or, perhaps more accurately, two pairs of type tools — that assist you with adding text to your images. The Horizontal Type tool and the Vertical Type tool (the first pair) create type layers, which show up as special layers in the Layers panel that enable you to later re-edit the text that you put there. The Horizontal Type Mask tool and the Vertical Type Mask tool (the second pair) make selections on the active layer, similar to using the Rectangular Marquee and Lasso tools. 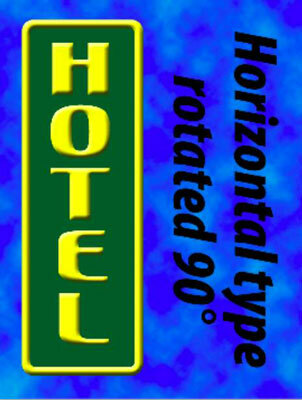 When creating more than one line of type, the Horizontal Type tool starts the subsequent lines below the first. Keep in mind, however, that the Vertical Type tool will add additional lines of type to the left of the first line. When working with type layers, you can easily make changes to the font, font size, and even the text itself at any time. In addition, you can add layer styles and blend the text with other elements of your artwork using blending modes and reduced opacity. You can ignore the type mask tools. Instead, use the regular type tools, Cmd+click or Ctrl+click on the layer thumbnail in the Layers panel to load a selection in the shape of the text, and then click the eyeball symbol to the left to hide the type layer. Later, if necessary, you can easily reload the selection — or make changes to the text and load a new selection. When working with a text-shaped selection, add a new empty layer on which you can create a text-shaped stroke or fill, or work with an existing layer’s content. You might, for example, make a text-shaped selection to delete or hide an area of another layer, as you can see in this figure. You can select type options before adding text to the image, or you can change your options afterward. When you make the type layer active in the Layers panel — but haven’t yet selected any text in your image — any changes that you make are applied to all the text on the layer. You can also click and drag to select some of the text on the layer and make changes to only those characters or words. Click the check mark button (or the Cancel button) on the Options bar. Switch to a different tool in the Toolbox. Cmd+Shift+click or Ctrl+Shift+click to finish that type layer and start a new type layer. 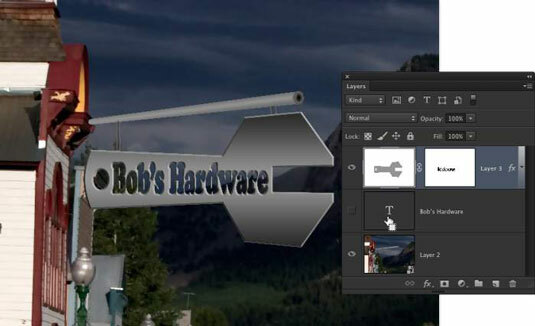 The Type tool’s Options bar also includes a 3D button to convert the type layer to a 3D object.